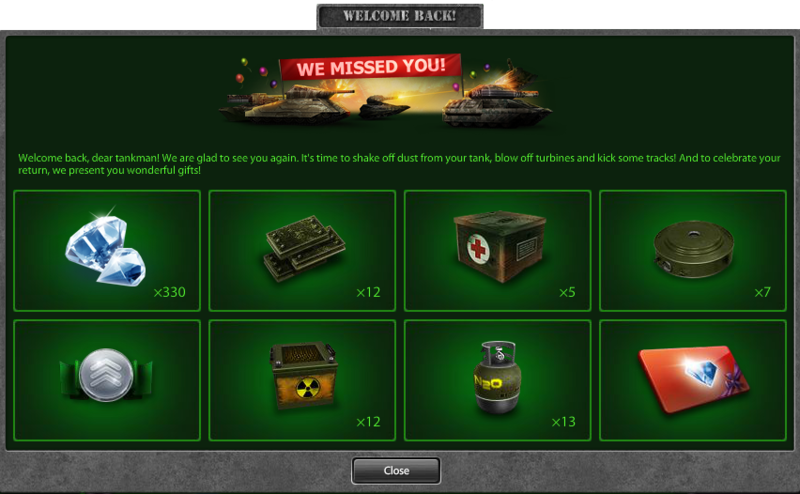 Welcome back, dear tankman! We are glad see you again. It's time to shake off dust from you tank? blow off turbines and kick some track! And to celebrate you return, we present you wonderful gifts! Rank is Warrant officer 1, time withouth game more one month.